Every first Monday of the month L’Oreal offers a free sample for their L’Oreal rewards members. Just click here to login or register. Then enter one of the L’Oreal rewards codes from the list below. 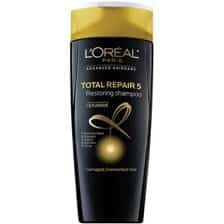 Keep an eye on the right because you can click “Claim It” to request a free sample of L’Oreal Advanced Haircare. If you’re new to L’Oreal perks, you can enter 2 codes every month. Once you have 5 codes entered, you can request a coupon good for a free box of L’Oreal. Perk is sold out but thanks for the codes.